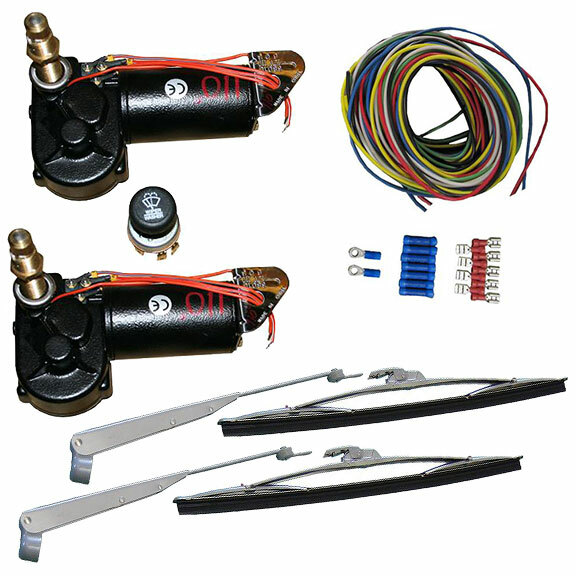 This new dual wiper motor conversion kit will replace your factory 1966-69 Ford Bronco vacuum wiper motors with a pair of electric wiper motors for a very worthwhile upgrade. The motors in this kit mount directly to your windshield frame (minor drilling required to open the shaft holes). Please note the wiper motors already have the wiper arm bezel & nut kits on them, so there is no need to order these parts separately. These motors can also replace your factory electric wiper motor in a 1970-77 Ford Bronco. However, these motors are not synchronized whereas the factory electric motor & linkage setup is. If you can run the factory electric setup, that is the more highly recommended option for a 71-77 Bronco.